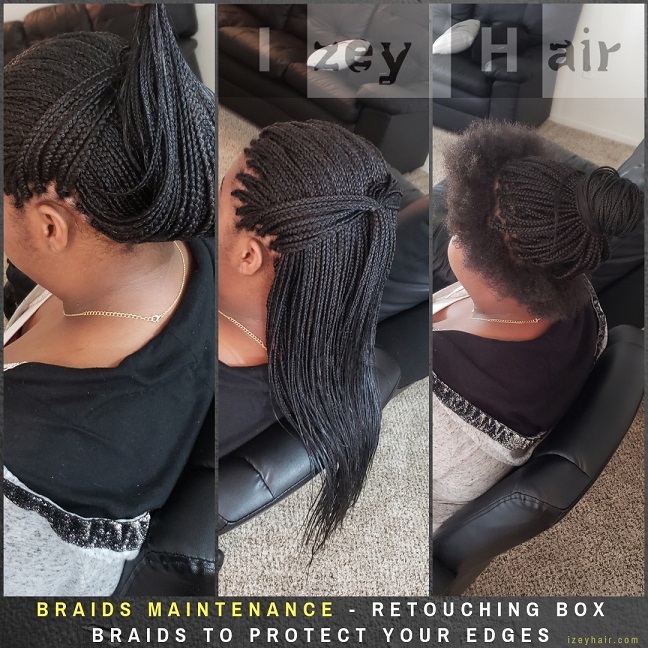 I cannot overemphasize the need to retouch/rebraid your edges when you get braids. 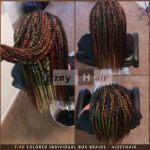 The last thing we want is to have these braids hang on the new growth. 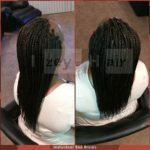 Even if the hair extension is lightweight, soft and very good quality, it still has a risk of pulling out your edges. How do I protect my edges? 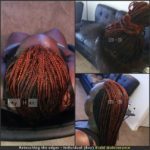 Depending on how fast your hair grows, I recommend that you get the edges redone in about 3 weeks, at least not more than a month. 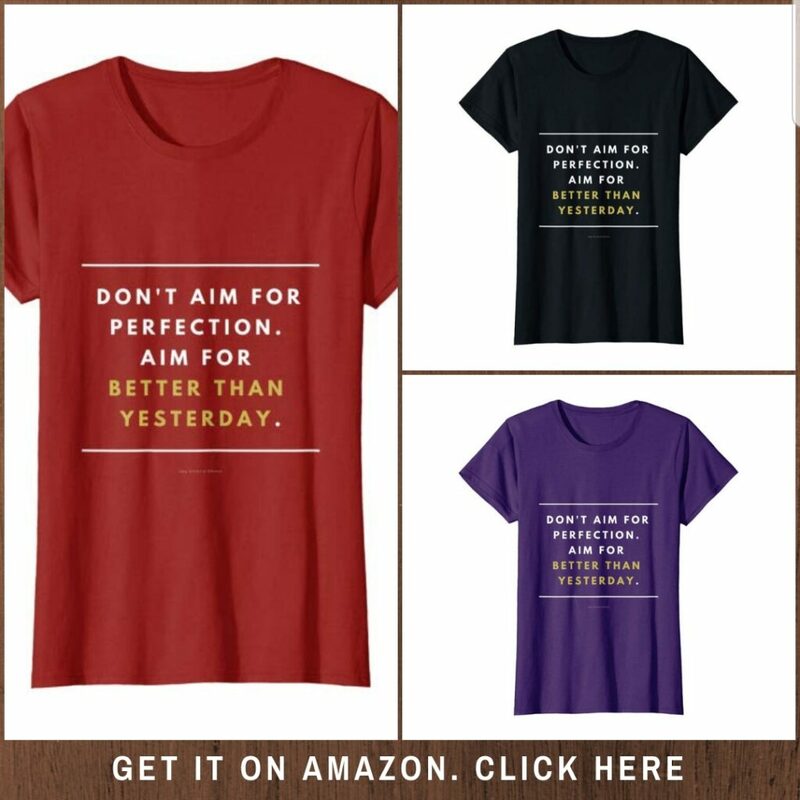 I understand some circumstances do not allow you to get your edges done that quickly. If that’s the case, you need to take extra care of it. Keep them moisturized. When you go to sleep, make sure your hair is tied or wrapped up in a silk scarf and/or bonnet, so you do not risk sleeping on the braid and pulling on it. 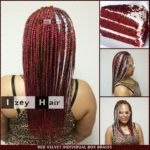 Photo by IzeyHair in Las Vegas, NV. 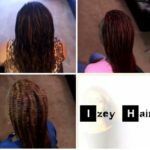 ← 12 Ombre Style Crochet Braids with Great Reviews. 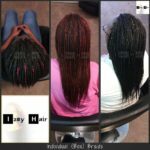 Plus How to Install Crochet Hair.